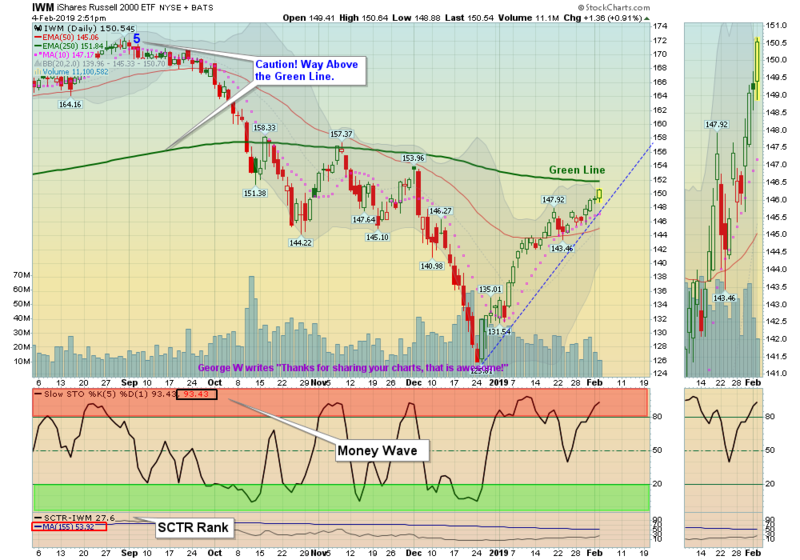 The weaker Small Caps are almost back up to the Green Line. Markets were up today on low Volume as Investors have no News or reason to Sell. Earnings are mostly coming out better than expected, and the FEAR has disappeared in just 6 weeks. The S&P 500 is currently very Over-bought on the Short Term after a 15% bounce up from the Lows. Crude Oil was down $0.65 today at $54.60. EXIT TLT US GOV’T. BOND FUND if it is going to Close below the Pink Line around $120.56). LOWER the Sell Stop Loss on UNG US NATURAL GAS FUND to $23.00 until it bottoms. UNG is back down in the Green Zone.